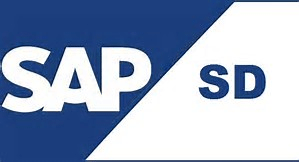 HIRING: SAP SD Consultant - Italian Speaking. Location: Italy. My client is an international SAP Consulting firm who currently have a fantastic opportunity for an Italian speaking SAP SD consultant to join their growing team. The client provides all their consultants with full training in their software solutions and offers numerous exciting and challenging projects to work on across Italy. They provide flexible working conditions, with the possibility to work remotely from home when not working on an implementation project and offer a highly competitive remuneration package depending upon experience: €50,000 – €70,000 + 10% bonus + benefits. You can live anywhere in Northern Italy as you will be based from your home office and will travel to client sites mostly in Northern Italy in the Bologna, Milan, Turin, Verona and Venice regions. You must be willing to travel up to 100% but on average you can expect 4 days travel with at least 1 day remote working from home on Fridays. • You will be required to travel to the Clients’ sites to implement the SAP solution mostly in the North of Italy around the Milan area and possibly in the Bologna and Turin areas too. • Play a central role in the full implementation life-cycle of the project. From initial blue printing through to testing, training and support. • Consulting clients to gather their user requirements, running work shops. • Must speak, read and write fluently in Italian. • Must speak, read and write fluently in English.